Fifteen years after its “return” to China, Hong Kong remains insecure about its future. Will Beijing respond to the city’s anxieties by relaxing or tightening its grip? Fireworks are a theme of Hong Kong’s Chinese New Year celebrations. But this year has been more explosive than usual, as a nasty debate has flared over Hong Kong’s place in the Chinese cosmos. 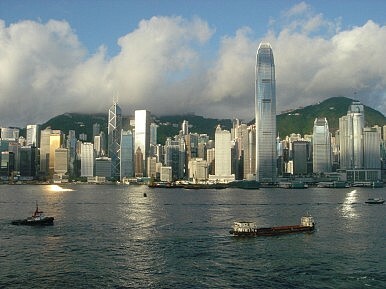 The spat has left relations between Hong Kong and the mainland, for all the cheerful astrology of the newly dawning Year of the Dragon, at their ugliest in nearly a decade. Animals less seemly than dragons have been stalking the conversation between mainland commentators and their Hong Kong interlocutors. A trigger for much of the recent acrimony was a January TV appearance by Kong Qingdong, a Beijing academic, in which he described Hong Kongers as “running dogs” and “bastards” in reaction to a Hong Kong University poll suggesting that fewer Hong Kong people now identify themselves as Chinese citizens than at any time since the 1997 handover. Though cynically provocative, Kong’s remarks reflected Beijing’s quiet frustration with Hong Kong’s insistence on remaining outside the Chinese mainstream. They also drew a fierce backlash from the sizeable section of Hong Kong society that regards the mainland’s influence as something to be resisted rather than embraced. Ever since the British exit, the city has been uncomfortable with what some perceive as the insidious erosion of the “one country, two systems” framework designed to cushion its return to the Chinese fold and to protect its most cherished rights, such as a free press, the right to protest, and an independent judiciary. Lately, these concerns have assumed a demographic focus, with mounting alarm about mainland immigration and, in particular, the trend of pregnant mainland women travelling here (for the most part legally) to secure automatic Hong Kong citizenship for their babies. This angst was illustrated most graphically recently when a full-page advert in the Apple Daily, one of Hong Kong’s punchier newspapers, called for an end to what it termed “birth tourism.” The ad memorably depicted a gigantic locust looming over the city, conjuring images of creepy mainlanders poised to swamp Hong Kong once and for all. The Hong Kong government, which runs the city’s affairs autonomously while answering ultimately to Beijing, had already placed a cap on the number of mainland mothers allowed to give birth here this year (at 34,000, down from 40,000 in 2011 – which was nearly half of all the babies born in the territory). However, a stricter limit, if not an outright ban, now appears likely in response to the public outcry: no less shocking for Hong Kong lawmakers than the infamous locust was the sight of hundreds of pregnant women and mothers marching on a brisk January day to bemoan their need to compete with mainlanders for space in the city’s hospital delivery rooms.